Working with designers and engineers for automotive interior trim presents projects which can push the boundaries for tooling and decoration on aluminum. In depth discussions with engineers to make sure dimensions are in line with forming tolerances take place. Similar conversations with styling designers happen to review colors, patterns and gloss levels. A project to take over production of a formed aluminum horn cover on the steering wheel of a vehicle has gone through just this type of collaboration. There are complex elements involved in making this sporty badge. There are both concave and convex formed areas with embossed graphics and a wiped over edge with tabs for attachment to the steering wheel housing. 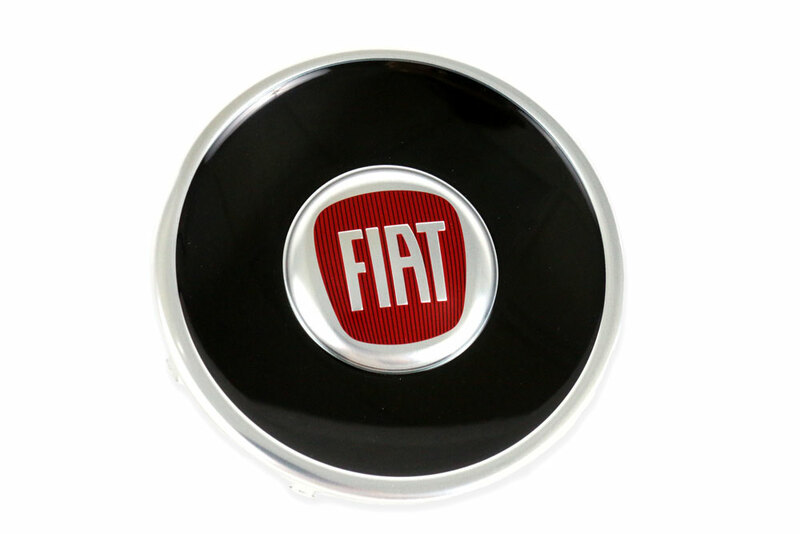 The result is the appearance of a pop up button inside of the horn badge for the steering wheel. 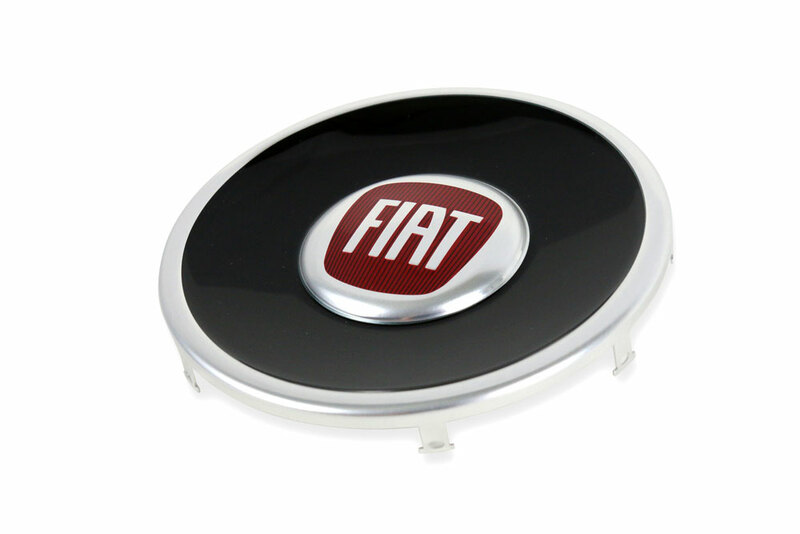 Two versions of this badge can be found in production: one with high gloss piano black and one with matte black. Both versions incorporate a background pattern behind the embossed logo which coordinates with other decoration in the car interior. The bright aluminum border further carries the decorating elements from knobs and controls in other aspects of the interior. Color development for the red was critical to make sure that the horn cover blended well with the red accent used in other areas of the interior as well as computer graphics. When proper discussion and collaboration take place during the development of a trim project it is possible to push the boundaries of typical stamp and form tooling. Decoration options and pattern selection can also be explored. The result is nothing less than extra-ordinary. 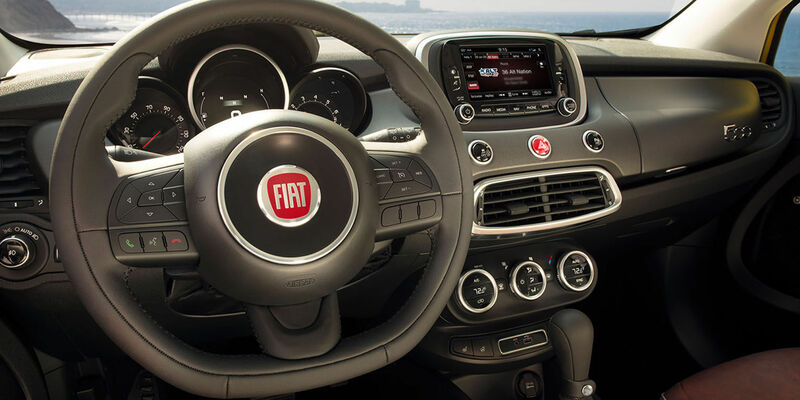 In this case a sporty theme for the automotive interior is carried over into the brand identification shown on the steering wheel horn badge. Do you have a trim project to challenge us with? Let's talk! Editor's note - this post originally was published in our Nameplate Blog August 11, 2016. It has been updated and refreshed to fit the objective for the Trim Blog and your enjoyment.